American Canyon at Mark Macres Invit. SRJC MEN at Bob Rush Invit. SRJC WOMEN at Bob Rush Invit. Want a new way to help this site? What is the Redwood Empire? Any track coaches willing to put on a meet? Will there be league finals this year? Video of Lucas Chung in seeded Stanford race, black top, runs around 25th most of the way. ‘Faith Over Fear’ Has Helped Former Gymnast Julia Fixsen Become a Rising Pole Vault Talent in U.S.
Official centennial-edition State Meet preview story! Is this site worth keeping? What’s up with times in track? Fort Bragg at Bearcat Invit. Heart and Sole Redwood Empire Athletes of the Week! You think some of my wind adjusted stats are crazy? Making The Most Of All-Comers Season — Finding The Right Competition! No more SCL after 2018, are you an Oak or a Redwood? Do I Need A Cool-Down After Running In The Cold? Redwood’s Liam Anderson places 3rd at Nike Nationals as top undergrad and will get the #1 race bib next year. Is The End Near For Cal’s Edwards Stadium? I can’t return to my home yet because of the fire in Redwood Valley but I’ll still get new stuff up. Want to vote for Sara Hall? Can Spring Lake handle a super league? It will be held on Saturday, September 16th, 2:00 pm at Santa Rosa HS Auditorium. If your coming from out of town you might want to watch the Viking Opener at Spring Lake that morning, or even run in the Alumni race. Heard enough about league changes, here’s one more. Four from one family qualify for Nationals. Inside Brooks PR: Who Will Take The Girl Mile Victory? New alignment: What might it look like? So how did the SCL 100 runners do? Clovis HS senior Jonah Wilson sets NEW California record in discus! Hey what happened to those Castleberry marks? Ready to do 211 laps around a track? Ryan Hall completes 6th marathon in 6 days, 1 to go. Want to be a videographer for this site? What race needs armed officials to keep runners from being eaten? Redwood Empire Runners of the Week! The below interviews are also linked within the story above. Piner at Lagoon Valley Classic Invit. What was the performance of the year? Video interview: Sonoma Academy sophomore Rylee Bowen placed fourth in the state girls 1600 final. California Winter Champs Updated Qualifier & Finals Info! 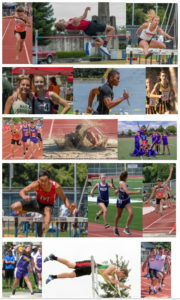 Which CA Distance Runners Won 2015?